Rich golden colour, with an aroma of fruit and a mere hint of oak. Crisp, clean fruit flavour, but monotonal and lacks depth or character. Drinkable and sessionable, but has little to distinguish it. 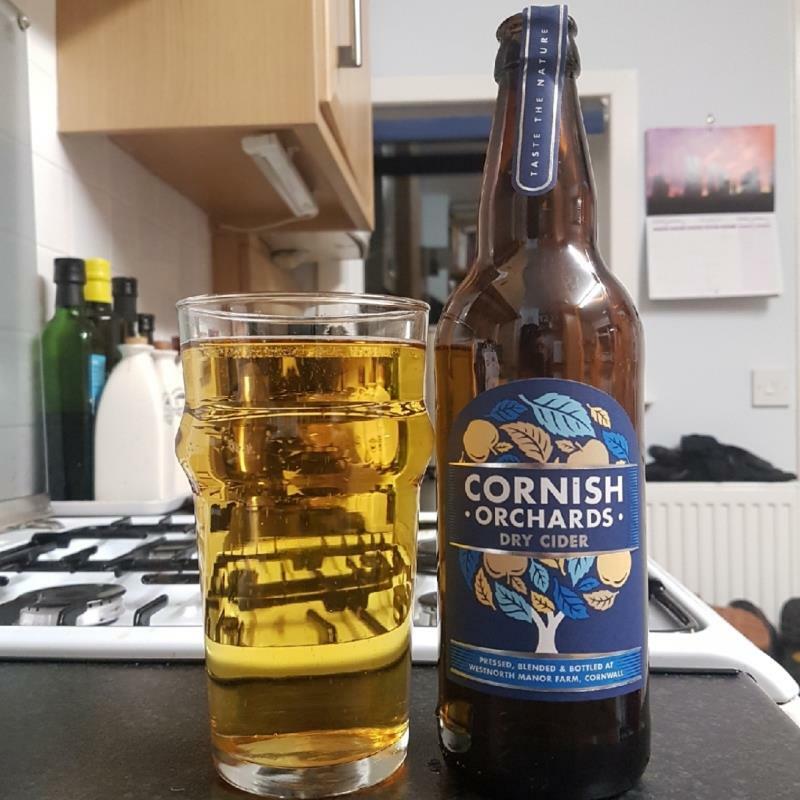 This is quite a nice dry cider “created from apples selected for their soft tannins and traditional flavour” Produced by Cornish Orchards, Westnorth Manor Farm, Duloe, Liskeard, Cornwall, PL14 4PW. Contains sulphites.